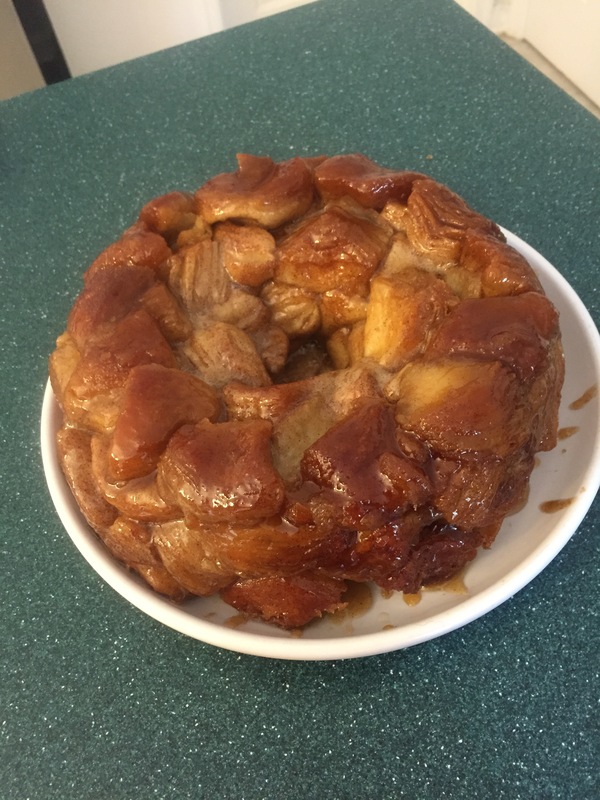 This cinnamon monkey bread post was showing up all over Facebook as people shared the link, so I decided to try it. 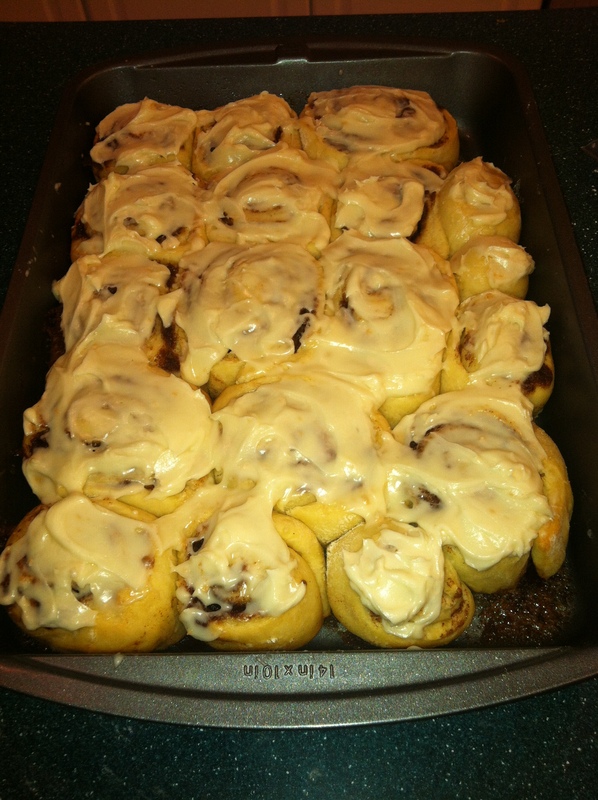 It is a very simple recipe and a novice baker could certainly make this with no problem. 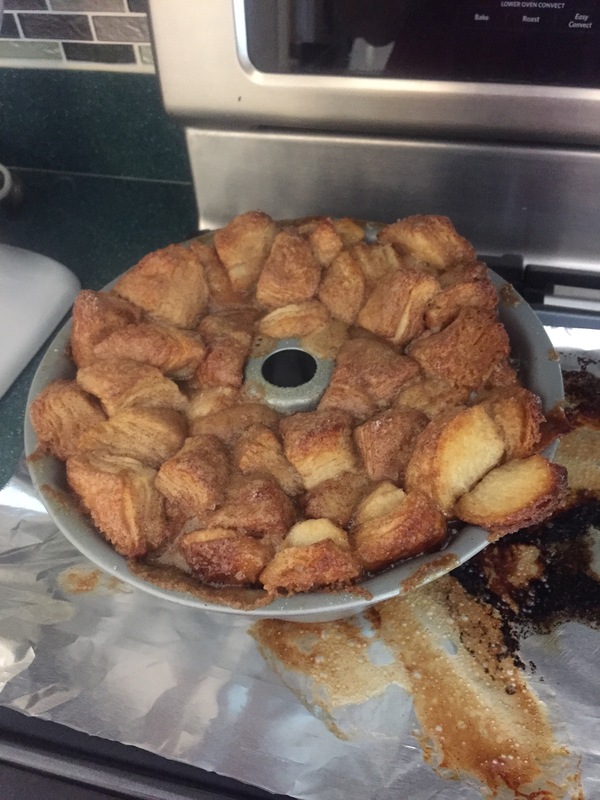 I found that the brown sugar/butter mix was not as dark or thick as the photos in the sample recipe. 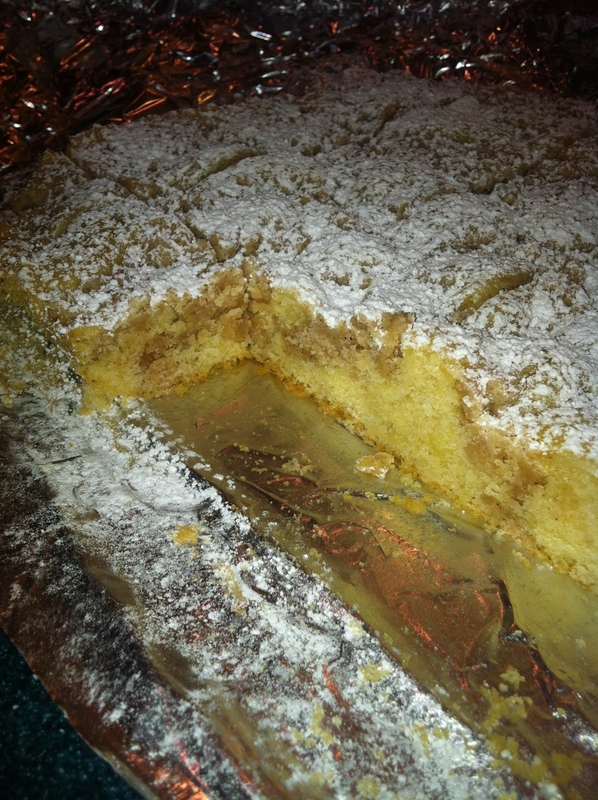 I ended up adding more brown sugar until I was comfortable with the color and thickness. I put all the cut up pieces of the biscuits into the cinnamon sugar mix at once. I found that some pieces still stuck together. I had to pull them apart to get coverage all over the pieces. There was extra mix left over, so as I layered the biscuit pieces, I sprinkled the extra over them in the pan. Cooking time – I would add another 7-10 minutes to the recipe. While the outside was fine, the middle didn’t cook completely, so we ended up tossing about a quarter of it. 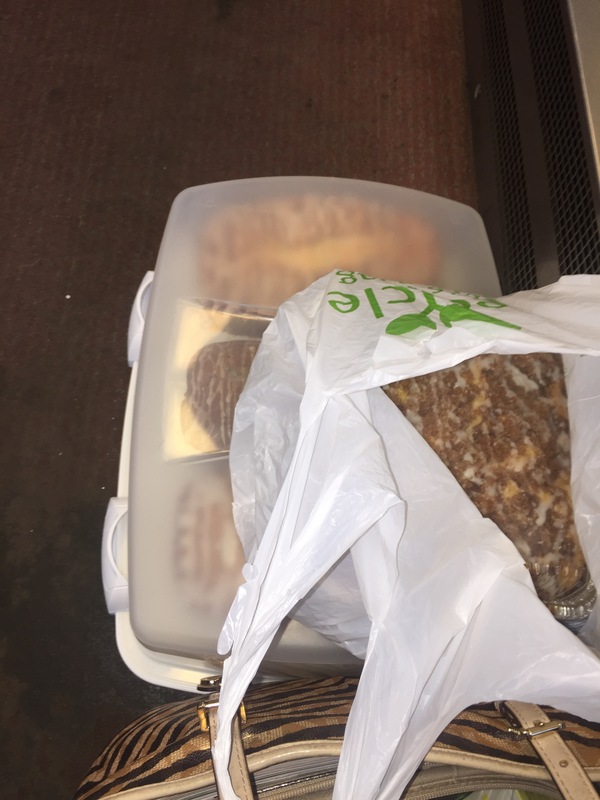 You can see that the paper liner on the baking tray came in handy for clean up! My son loved this and wants to know when I will be making it again. 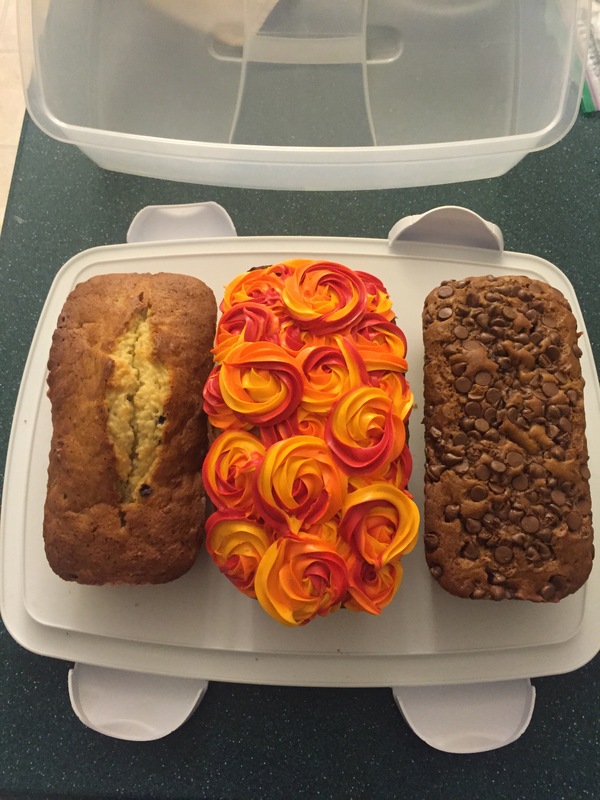 It’s definitely best warm out of the oven, though he picked pieces off the next day and warmed them in the microwave. It’s an easy recipe that would feed a big group. I just hired a new employee who is taking my former job after I was promoted in May. On her first day, we had a standing morning staff meeting. 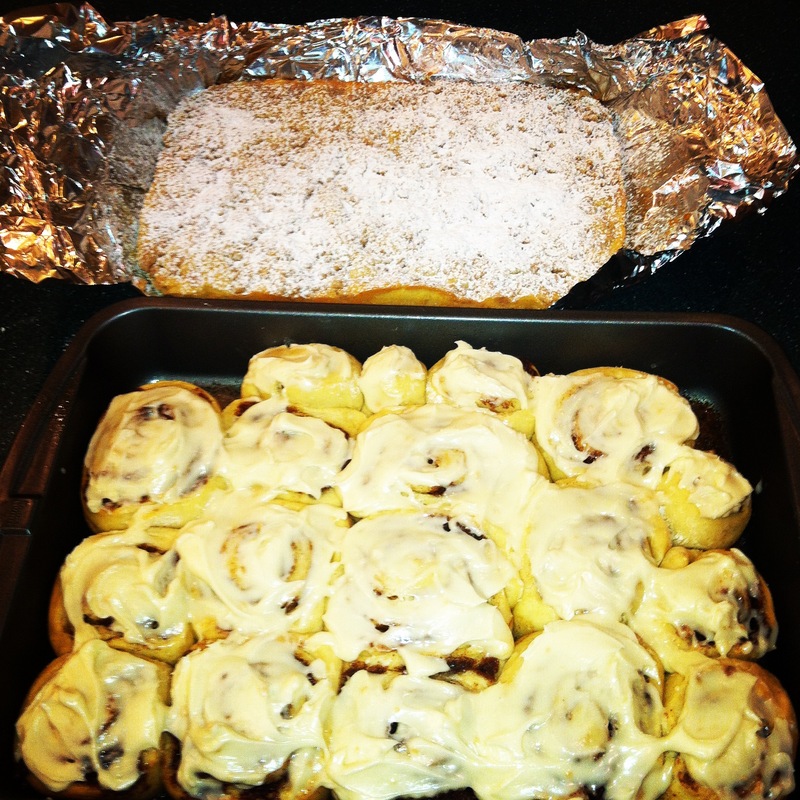 As part of her welcome to the team, I decided to make some breakfast goodies to have at the meeting. Image Copyright © 2014 Kennon & Green Press, LLC. I have to say, these taste delicious and while not an exact clone, they are pretty darn good. I will confess, I didn’t knead the dough as the recipe directs (I forgot! ), I just mixed the ingredients and let it rise, kneading it after the first hour of rising. Didn’t seem to effect the taste – it was a hit with the staff, even though they were served cold. Photo: Copyright 2014, Hugs and Cookies XOXO. All Rights Reserved. So a couple of notes about this recipe. Don’t be alarmed by how thin the batter appears when you transfer it to the 9 x 13 baking dish. I was worried it wouldn’t be thick enough, but it is. Also, I would bake the cake an additional 5 minutes (15 minutes total) before putting the crumb topping on. After 10 minutes the batter was still pretty loose, and as I started to add the crumb topping, it began to sink pretty far into the coffee cake. I found that in order to get the amount of crumb topping like you see in the photo, double the topping recipe. Wait, what do you mean these aren’t for us? He asked who this was for, hoping and anticipating I had made this for the first week of school breakfasts. I told him it was for my new employee, who was starting work the next day. 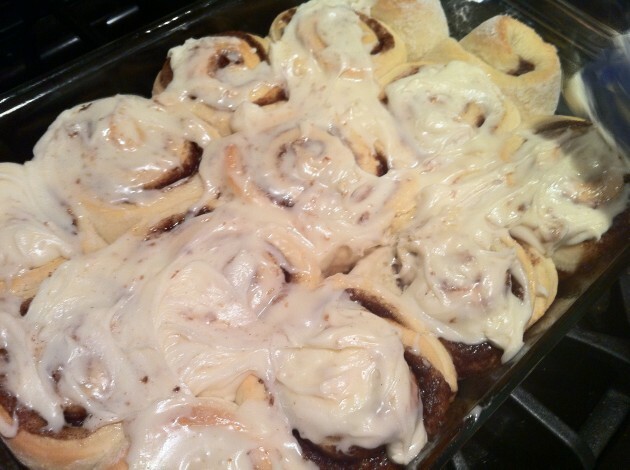 So I made our family another batch of the Cinnabon(R) clone rolls this weekend – guilt works! It was a very different Fall/Winter for us this year. Our good friends whose house we went to every weekend to watch the Steelers play (or to enjoy the non-pressure of football watching during a bye week) were going through the process of preparing for a separation. 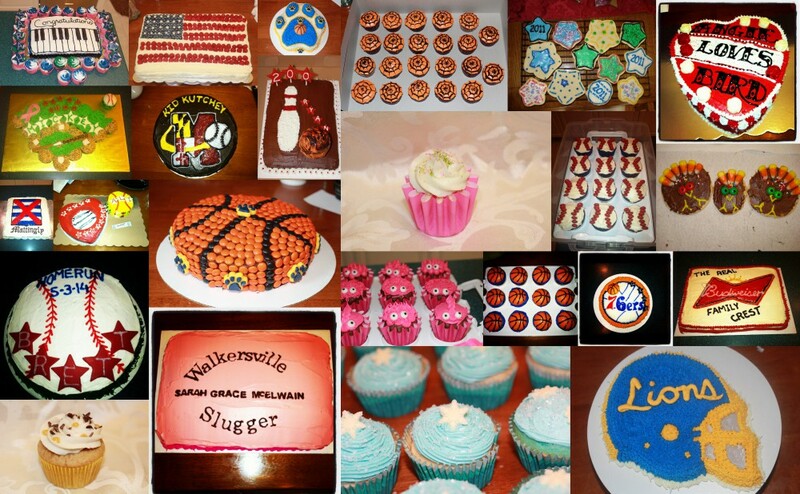 I used to bake tons of goodies every Saturday night/Sunday morning and take them to their house during football season. The kids and adults would nibble all day and we would enjoy one another’s company — and hopefully a Steelers win. It was a sad change to a ritual we had grown to enjoy so much over the past three years. The separation became official this past weekend when she moved into her new townhouse. The townhouse is located in our neighborhood, so I thought I would prepare her something sweet to welcome her to the neighborhood. 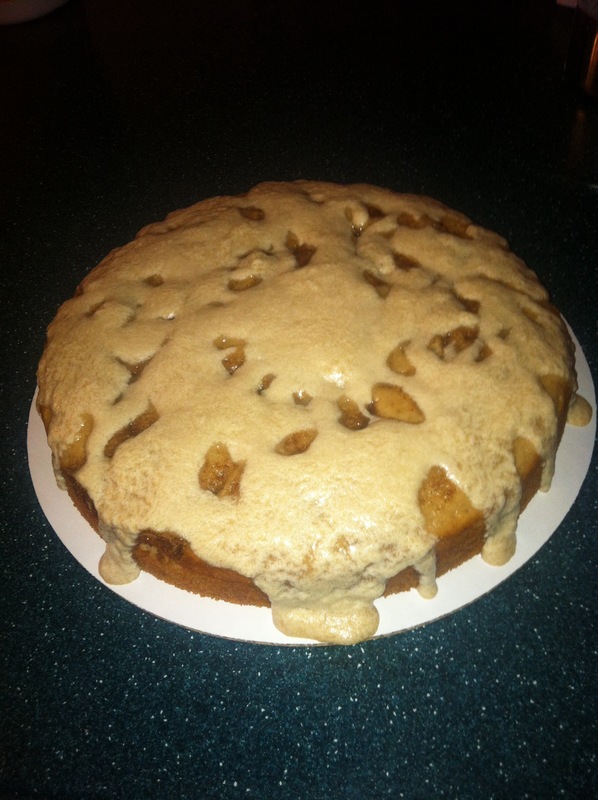 I decided on a Mocha Coffee Cake, as she is a big fan of coffee. There was a drink that had been concocted for our Sunday football viewing parties called an Esprussion (espresso + white Russian = fabulousness), so I figured a coffee-based goodie was just the ticket. The recipe is really simple. The only thing about it is that Greek yogurt does not come in a 1/4 cup size (just over 2 ounces), so you will have some left even if you buy the smallest container. 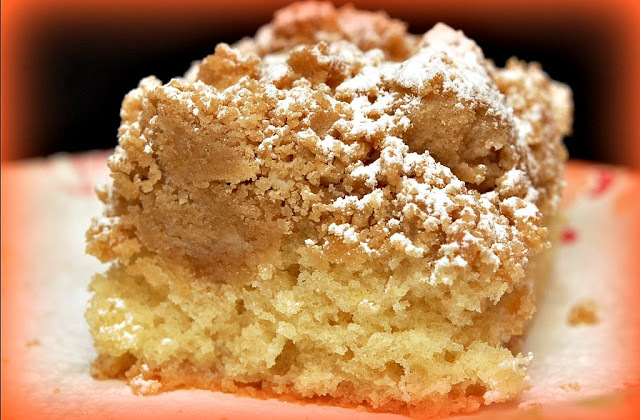 I also found the streusel to be less crumbly and more frosting like (perhaps a bit less liquid would help with this, but I followed the recipe exactly since this was my first attempt at the recipe). 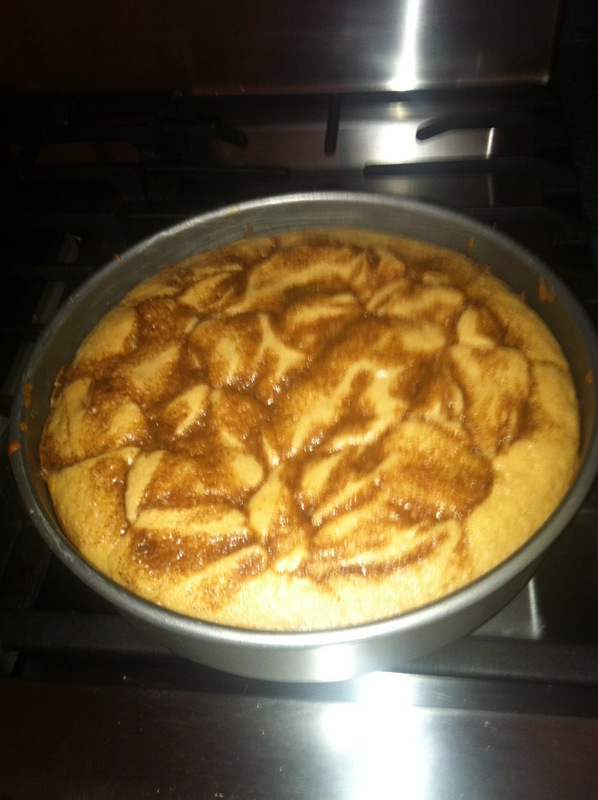 I used a knife to help spread it on top of the batter in the pan. I also didn’t add the pecans. I wish my dear friend Rebecca, her kids, and her soon-to-be-ex the best as they all begin down new paths on this unpredictable journey we call life.